The flavour of seaweed is hard to define. Immediately you cannot compare to other spices, but the closest we can get to it, is lightly salted with a brush of ocean, which gives a fantastic combination for the bread. We call this the kids favorite (but it is also for grown-ups). The bread roll is especially suited as a sandwich-roll and for cheese. 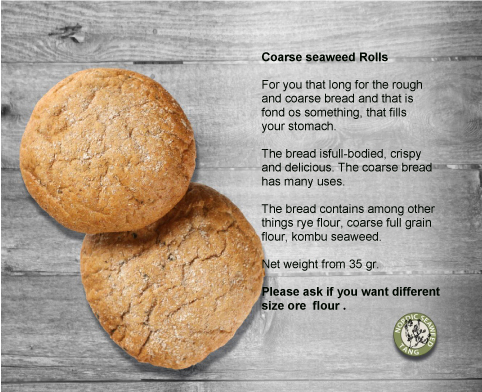 The bread roll contains wheat flour, full-grain graham flour, durum seeds and kombu seaweed. Net weight per roll is 90 gr.